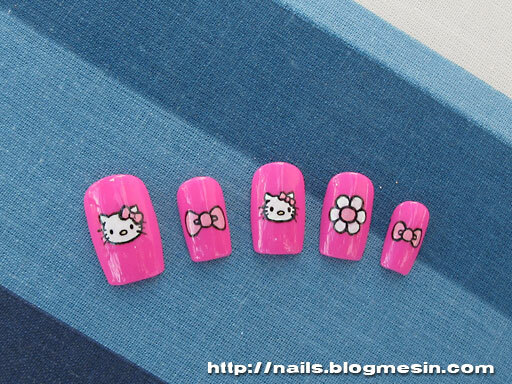 Do you like Hello Kitty? I probably don’t know anybody who would answer NO to this question. I absolutely love this character. 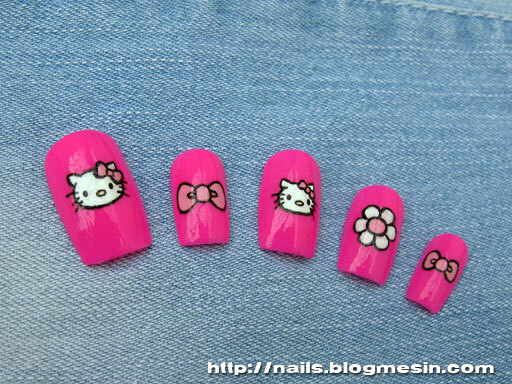 For me Hello Kitty is the symbol of cuteness. 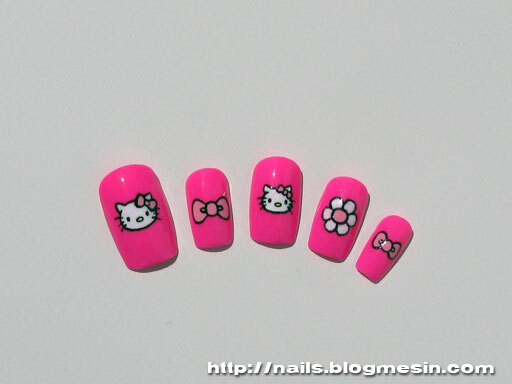 So I made Hello Kitty nails. I used acrylic paint. When I am painting some small details on nails I prefer to use this paint not the regular nail polish. Nail polish is drying much faster, and when something goes wrong with the painting it’s difficult to remake it. With acrylic paint you can remove part of pattern if you do it quick, before paint dries. As a base I used pink nail polish. I think red would fit here also. I used pink, black, white and yellow paint (yellow for Hello Kitty nose, but maybe it’s impossible to see it on the photos). When paint was dry I applied top coat to get shiny and smooth nail surface.